Free Delivery to Bluffton, Hilton Head, Beaufort and Savannah! No Surprise Fees at Checkout! 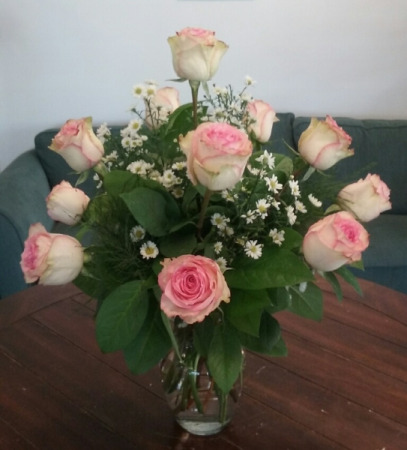 Price 1: Half Dozen Roses, One Sided Arrangement. 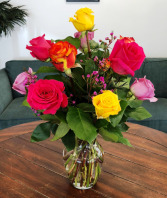 Price 2: Dozen Roses, All Around Arrangement (As Shown). Price 3: 2 Dozen Roses, All Around Arrangement. Free Delivery to Bluffton, Hilton Head, Beaufort, and Savannah! No Surprise Fees at Checkout! 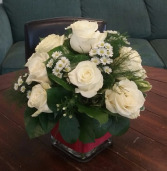 Compact, All Around Dozen White Rose Arrangement. Typically available in other color roses too. Request a different color in special instructions or call to place your order. Free Delivery to Bluffton, Hilton Head, Beaufort and Savannah! No Surprise Fees at Checkout! Price 1: Half Dozen Roses, One Sided Arrangement. Price 2: Dozen Roses, All Around Arrangement. Price 3: 2 Dozen Roses, All Around Arrangement. Free Delivery to Bluffton, Hilton Head, Beaufort and Savannah! No Surprise Fees at Checkout! 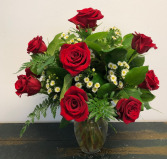 Price 1: Dozen Red Roses, All Around Arrangement. Price 2: 2 Dozen Red Roses, All Around Arrangement. Price 3: 3 Dozen Red Roses, All Around Arrangement.